I was asked to present a pre-conference on new media and young children and here are the resources I shared. The 3 hour session was jam packed with great questions, ideas and enthusiasm. Thanks to everyone who attended! Like many librarians and educators, I spend a lot of time focused on early literacy. Whether its in storytime, when I’m selecting materials, or in conversation with parents and caregivers I’m thinking about how fun activities, stories and tools can strengthen early literacy skills. Underneath the literacy layer, though, is a deep interest I have in the social and emotional development of little ones. I’ve been looking at books and digital media through this lens. With this post, I’m starting a mini-series about some of the books, literacy tools and apps I like for their overall high quality and the way they address the emotional and social side of growing kids that are creative, flexible, curious, caring, and ready for the dynamic world we live in. The recent release of Toca Boo was well-timed, so I’ll start there. 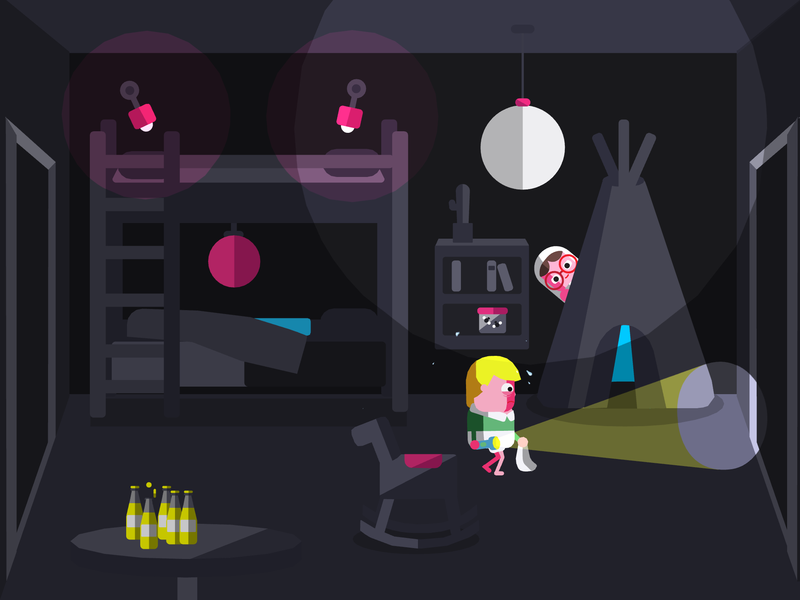 This new app by the developers at Toca Boca is an interesting one. I’m a huge fan of Toca Boca’s apps so I was ready for the smooth navigation, the open-ended, noncompetitive play, inclusion of facial expressions and representation of emotions, multi-touch capability that encourages joint media engagement and the minimal language that makes the app universal. This app has all of the elements that I look for in an app to share in a program or recommend. Toca Boca knows their audience well. What’s different about Toca Boo is that it deals with the illusive fear emotion, underrepresented in the world of apps for young children. Just in time for Halloween, Toca Boo features a a small ghost named Bonnie who happens to be a young girl who dons a white sheet for the scare games she instigates in the low-lit house at bedtime. Inspired by the classic hide and scare game and Tove Jansson’s Moomin world, the open-ended game lets kids play with feelings of fear, tension and the element of surprise in a nonthreatening, kid-friendly experience. Bonnie is the mischievous star in a cast of colorful characters who’s theatrical reactions to Bonnie’s scares spark instant giggles. The identical twins, the braces-clad, phone obsessed teen, the blanket-toting toddler, the old man with stilt-like spindly legs and the disco dancing rotund old woman wander the house with Bonnie in pursuit. When Bonnie is near, a tap on the unsuspecting victim causes a scare. Many of the rooms, like the bathroom and bedrooms feature hiding places highlighted by a subtle blue light. Dragging Bonnie to the hiding place lets her sneak up behind her next victim more easily making his/her reaction more hilarious. The app player can tap lights and sounds to startle the family members, adding to the not-so-spooky atmosphere. To ease any anxiety, the developers have added a few special touches. They gave each character a light source which they can shine on Bonnie if the app player doesn’t hide her quickly enough. If she is spotted, the light bearer chuckles. They also provided some refreshments for Bonnie that customize her scare tactics and help lighten the mood. Bonnie farts to scare her victim after eating plums and breathes fire after eating peppers. The results are hilarious, helping to make this noncompetitive game easy to enjoy! Over time the small number of rooms and characters may limit repeated play, but the developers may have plans for that. In the meantime, Toca Boo is a fun, not so scary app to explore together with young ones during the Halloween season. What apps do you like for talking about fear and tension? 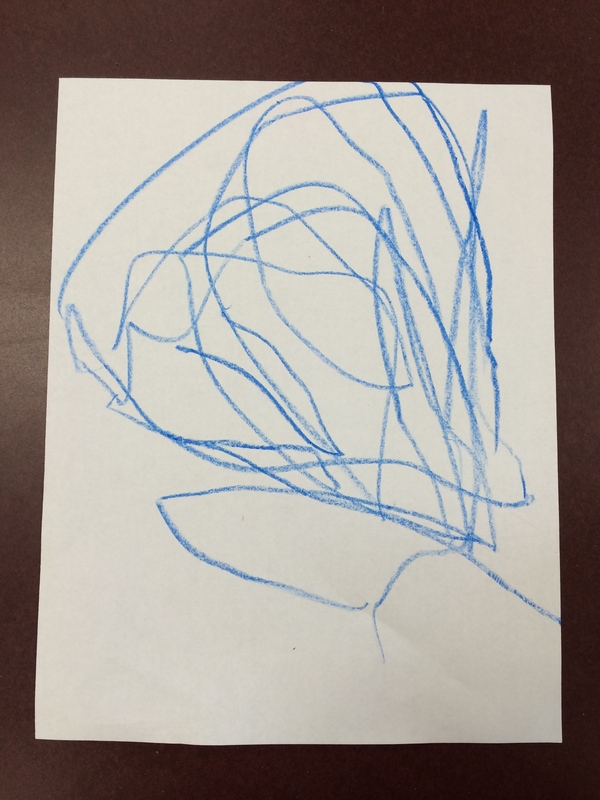 Today’s toddler storytime was heavy on movement! It was high energy and lots of fun. If the song was new to storytime, I talked about the actions we would use and the body parts we were going to include. I also didn’t hesitate to ask questions during a rhyme or song. For example, can you find your nose? But really, I had no problem keeping the kids and caregivers engaged. My favorite moment? When even the littlest toddlers hold up there 10 fingers and wiggle them for the Bubbles song. The more we read together the happier we’ll be. but everybody knows I love my toes. and it quietly sits right down. Simple scenes, bright illustrations, and interactive text make this a good fit for a body storytime or sharing one on one. 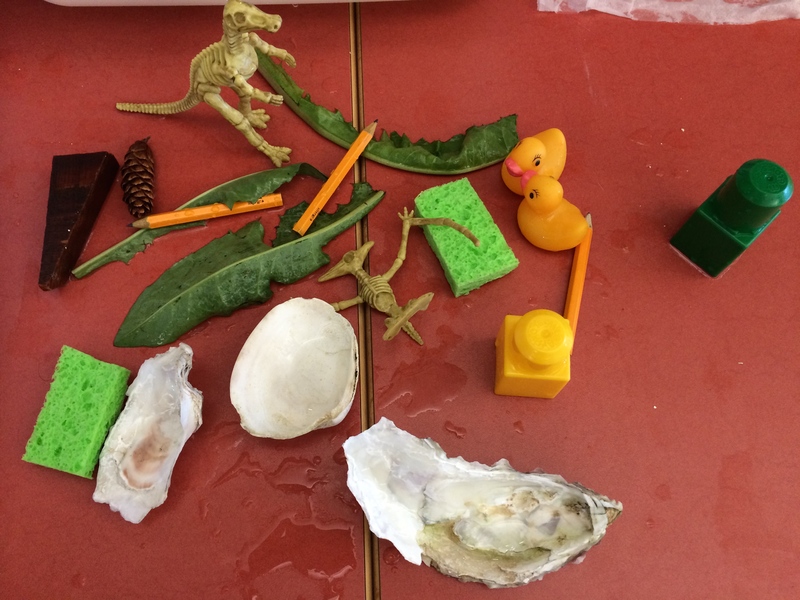 It’s not so much a story as an opportunity to talk, play, and read with kids. The illustrations offer as much as the text in terms of conversation pieces. 10 little bubbles go pop, pop, pop. A giant storm is brewing out int he Pacific which means possible power outages in our community, so this song seemed more than appropriate for warding off the rain! oh no, it’s up to my toe! This summer I again included a water storytime in the line up. As a coastal community, we are very connected to water, the salt variety in particular. Kids love water and I’m not afraid of a little contained wetness during storytime. Even when I reuse a storytime theme, I never do it quite the same way. SO, this time we began with an activity. 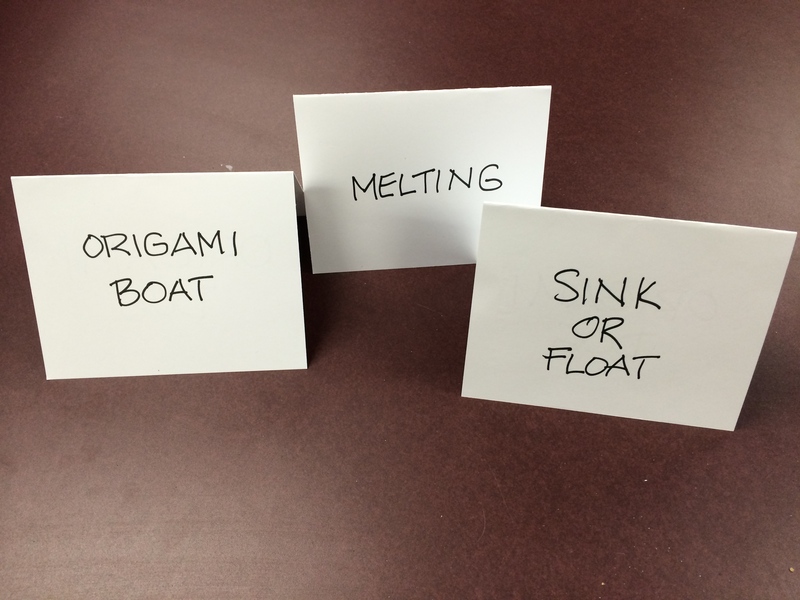 I got this idea from Amy, the Show Me Librarian, who posted about a water storytime on the ALSC blog. We often simply have a conversation at the beginning of storytime, but this one focused on where we find water. As Amy points out, writing the kids’ ideas on the chalkboard helps them make a connection between oral language and the written word and it includes kids in the conversation that may feel too shy otherwise. Kids had no problem calling out their ideas as I wrote them on the board. During bath time, Milo and Millie, Milo’s teddy bear, go on an adventure in an origami boat, we get to replicate during the activity time! The book includes a tutorial. This book is a bit forced, but talks about why things float. I didn’t read it word for word, but it worked well for this storytime with a little modification on my part. Simple illustrations on a white background make the images easy to see, even with a large group. We listened to this song while popping bubbles, something I don’t normally do at the preschool/family storytimes. Of course the kids loved it. To bring everyone back for the last story, we sang If You’re Ready for a Story. Animals of the African Savanna try to predict rain, a vital source of water around the world. The book includes bright, colorful images and clear text. I loved talking about how rain smells. The kids and I were all ready for some water activities. So we quickly reviewed what we would be doing, put away our storytime mats and got to work! This station is a must! The idea is that kids test out objects ability to float or sink and use their observation and recording skills. Don’t forget to roll up your sleeves for this one because everyone is bound to get a little wet! In the back of the Milo and Millie book, there are instructions for making an origami boat. I provided paper cut to the correct size, a sample, and the book open to the instructions. 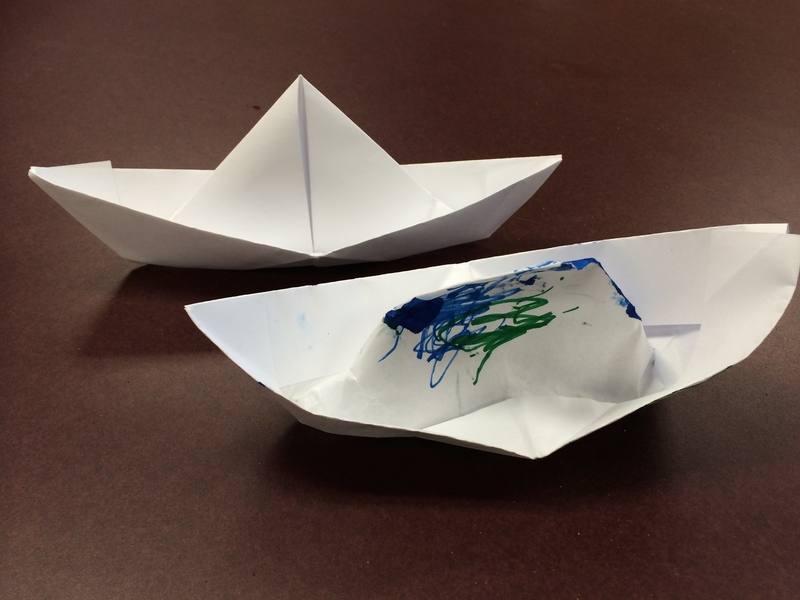 Kids and caregivers were able to make the paper boats with just a little guidance at this self-serve station. At this station, the young scientists got to experiment with states of matter. That sounds pretty advanced for preschooler, but it really equates to making things melt, turning them from a solid (ice) to a liquid (water). Kids generally stayed at this station for longer periods and often visited it last. Once they figured out what the activity was all about, they were mesmerized. To reinforce that text has meaning, I included labels at each station. This also helped parents identify which station was which. With larger storytime group sizes in the summer, having multiple stations with labels like these is helpful as families navigate the children’s library. I love my song cube. Lots of librarians use them and I got the idea awhile back from Anne Hicks over at Anne’s Library Life. 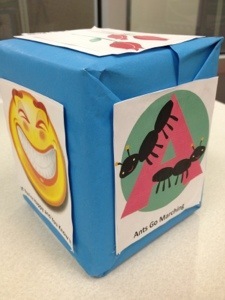 The idea is to have kids roll the cube and help select the song(s) we sing which immediately engages them in storytime. The empty tissue box is covered in bulletin board paper and then clipart is attached to each side. Like Anne, I covered the whole box in book tape after adding the images to lengthen its lifespan. The clipart on each side is an image that symbolizes a song, just as letters, numbers and words are symbols. The name of the song is included below each image. Once a child rolls the cube, I hold up the cube so everyone can see the image that ended up on top. Then I point to the image and ask if anyone knows a song about a (spider). We read the name of the song together and I mention to parents the importance of print awareness. Then it’s time to sing! I usually have two children roll the cube at the beginning of storytime as families are arriving. If we need a song/movement break in between stories, I’ll have another child roll the cube.